If all that comes to mind when you think about lavender is a dusty candle or long-faded scented drawer liners, you’re missing out on all this lovely and fragrant plant has to offer. I recently told readers of my Women’s Health Letter about some of the incredible benefits of reflexology. This wonderful do-it-yourself (or a friend) pain treatment begins with a targeted foot massage to bring relief and healing to various parts of the body. It turns out, these pain-relieving effects can be augmented by the application of lavender essential oil. And lavender’s ability to ease pain doesn’t stop there. 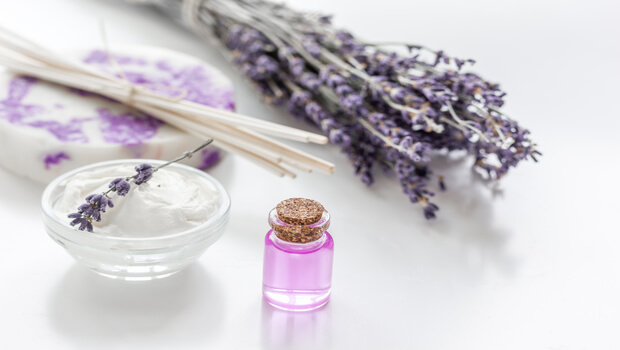 A review of lavender’s effects, published in the journal Evidence-Based Complementary and Alternative Medicine, contains a laundry list of the ways lavender can be helpful. Here are some highlights of the most relevant pain-fighting perks. First, let’s go back to the foot massage. A study of 100 patients in the ICU, half of whom were on artificial ventilation, found that using lavender essential oil during foot massage significantly reduced pain. But that’s not all. It also lowered blood pressure, heart rate, respiratory rate, and wakefulness, allowing patients to get some much-needed rest. Foot massage isn’t the only place you can use lavender oil. One study of massage therapy followed massage recipients for eight sessions using 3% lavender oil. They found that those with subacute neck or back pain experienced significant relief and greater range of motion in their spines. While you can easily absorb lavender essential oil through the skin, you also can benefit from breathing it in. In fact, one study of 25 patients undergoing breast biopsies found that breathing through an oxygen face mask treated with just two drops of 2% lavender oil helped decrease the patients’ need for opioids after their surgeries. Another study indicated that breathing in lavender essential oil can help provide relief for migraine headaches. In the study, 47 patients noted that the severity of their pain and other symptoms decreased significantly within 15 minutes of inhaling the oil. A study of aromatherapy massage that included rose geranium, rose, and jasmine in almond and primrose oils in addition to lavender found that this treatment could provide relief of hot flashes, depression, and pain associated with menopause. It’s no surprise that a good massage can help you feel better. But the research is clear that adding lavender oil to the experience can significantly increase the pain-relief potential. And if regular massages don’t fit into your schedule, you can also experience benefits by simply inhaling the fragrance of the oil. Plus, pain relief is just one of the advantages lavender has to offer. I’ll have more on other ways it can improve your health – even if you aren’t experiencing pain – in the weeks to come. In the meantime, consider giving yourself a reflexology foot massage with some lavender essential oil or add a couple drops to a diffuser. You may be amazed by just how much relief it can provide.